Well priced and efficient service. Will use it again. This cost-effective car park is perfect for those travelling for longer periods of time. Located less than 15 minutes from the airport, with transfers operating 24 hours a day, you’ll never be left hanging around. Airparks operate 24 hours a day, every 25 minutes. The journey to the terminal building takes less than 15 minutes. Birmingham Airparks is a holder of the Park Mark Safer Parking Award. Additionally, it is floodlit and features CCTV, security fencing and regular patrols. 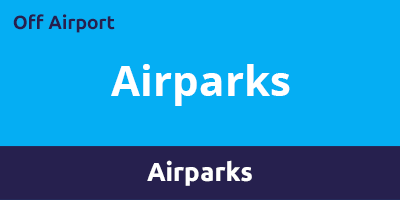 Airparks is open 365 days a year, operating 24 hours a day. No taxis, mobile homes, lorries, caravans, trailers or vans are permitted even if multiple spaces are booked. Leave the M42 at Junction 6 and stay in the left lane to take the A45 exit to Birmingham East Airport/NEC and Coventry. At Bickenhill Interchange roundabout take the fourth exit onto the A45 slip road to Birmingham/Birmingham International Airport. Merge onto Coventry Road/A45 and stay left. Take the exit, almost immediately, towards Solihull/Southampton/Bickenhill/Catherine-de-Barnes and stay left. Keep left at the fork and follow signs for the airport. At the roundabout take the third exit onto Airport Way/B4438. Take the first exit at the next roundabout onto Bickenhill Lane/B4438. At the next roundabout take the second exit to stay on Bickenhill Lane/B4438. Take the second exit at the next roundabout onto Bickenhill Parkway/B4438. Take the first exit, almost immediately, onto Coleshill Heath Road. Take the first exit at the roundabout onto Bickenhill Road then bear right, continuing on Bickenhill Road. Take the second exit at the roundabout onto Holly Lane. At the next roundabout, take the first exit onto Tile Cross Road. Turn left onto Tile Cross Road. Turn left again onto Mackadown Lane - you’ll find Airparks on the right. Park in one of the arrivals bays and head to reception to check in. You should have a copy of your booking confirmation with you. You'll need to leave your keys with reception, as your car will be parked for you. You'll be given a ticket, which you should keep safe as you'll need it when you return. Then just wait for the shuttle bus to the airport in the waiting area - you'll need to show your ticket to the driver. Just catch the shuttle bus back to the car park from bus stop A - the same place that you were dropped off at. You'll need to show the ticket you were given when you checked in to the driver. If you lose your ticket, you'll need to answer some security questions and show a photo ID, so make sure you have one.